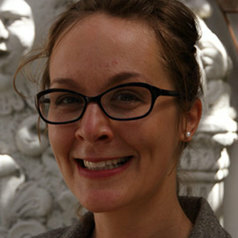 Nina Sylvanus is an assistant professor of anthropology at Northeastern University. She is the author of 'Patterns in Circulation: Cloth, Gender and Materiality in West Africa' (University of Chicago Press). The book tells the rich story of Dutch wax cloth, its global circuits of production and design while highlighting the important role of West African women as agents of taste and history in this global story.